Here are some more pages from my first go at Project Life. If you have seen my earlier posts you'll notice how this has a different colour theme (the previous pages were turquoise). I'm actually still using the Let's Get Away range - they have a variety of mixed colour and single colour cards co-ordinating, which means you can vary your lay-outs. These photographs were taken from our trip to West Stow Anglo Saxon Village with the girls in the Easter Holidays. We all had such a great time! Project Life is SO easy to do. The slots fit a standard photograph and the other slots are filled with the Project Life cards. 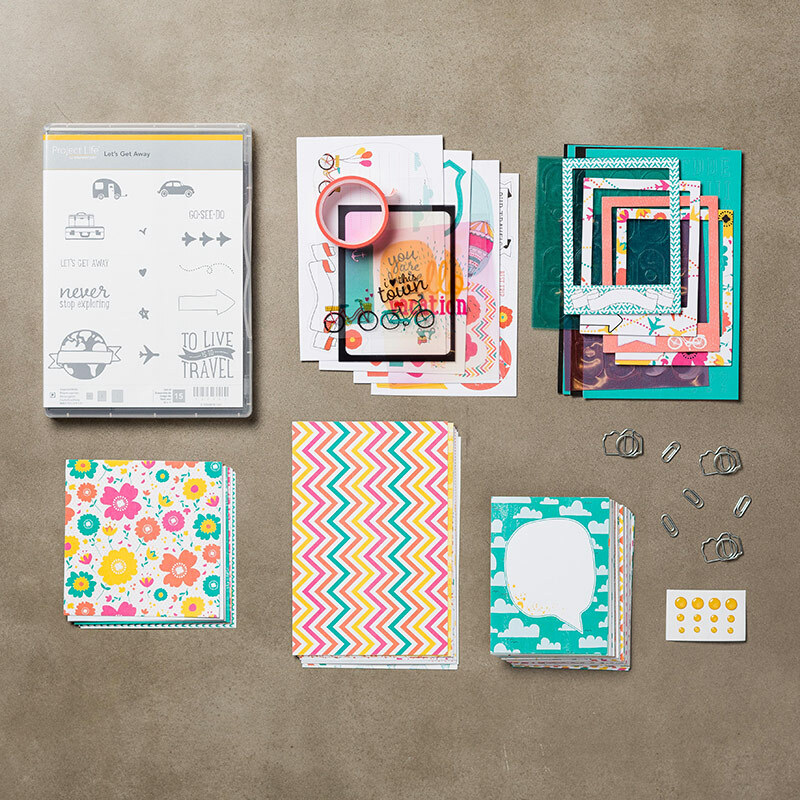 Everything matches completely taking the guesswork out of it, making it so much easier than regular scrapbooking. You can buy any of the Stampin' Up! 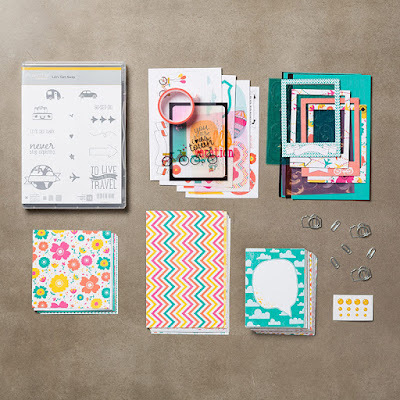 Project Life goodies through me, a Stampin' Up! Demonstrator. The only danger with getting into Project Life is now I shall want to co-ordinate our clothes when we go out! There is NO WAY Mr Hippy will let me do that! Haha! You can find everything you need to Project Life in the ticker below. In the meantime go out and make some memories (being sure to photograph them! ).